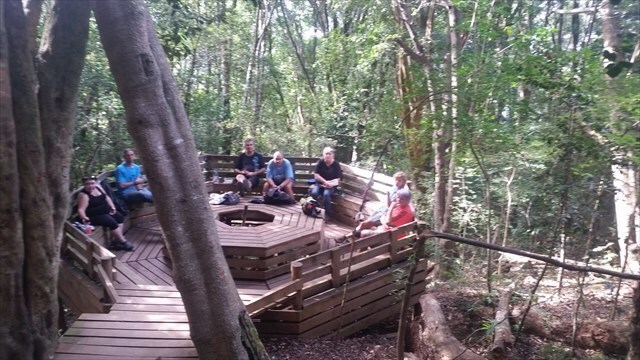 GC6J4MG Newlands Forest Long Hike Event (3 Oct) (Event Cache) in Western Cape, South Africa created by WC Geocachers. Date : 3 October 2016 - Monday. 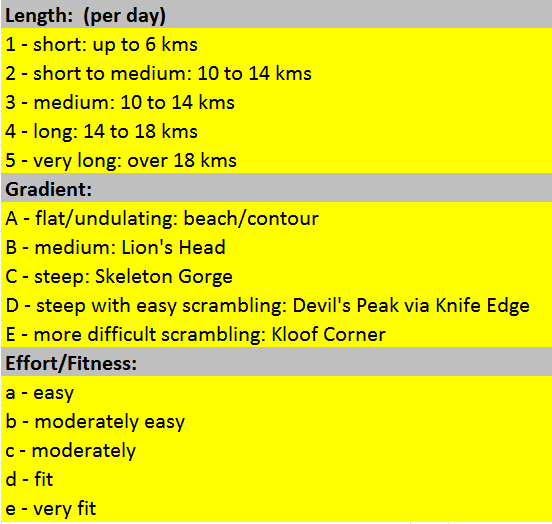 Reason : Quick get together for all Geocachers before the hike in Newlands Forest at 07h30. In the early morning light you look upon the majestic mountain that towers into the sky ahead of you. That sheer walls intimidating you into thinking that it can not be climbed. Many a local geocacher will just smile about it, knowing that it has been done before. But, dear visitor, we will spare you the agony. 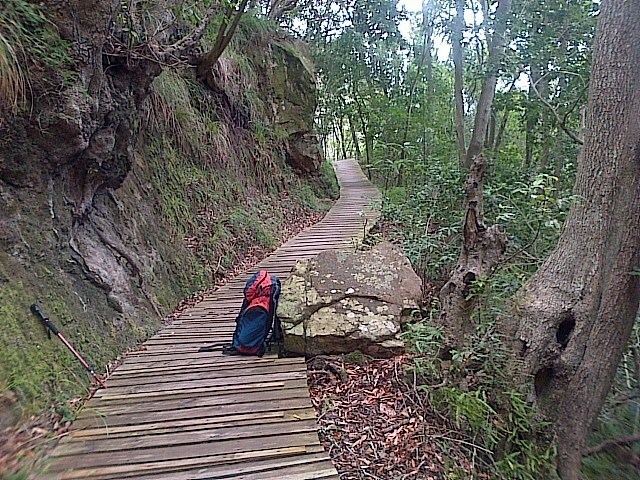 Today we will wander the forrests on the lower slopes of Table Mountain. Under high shady pine trees we will take a leisurly stroll. You will see where the choppers are based that help us when the world around here blazes up in flames. You will cross cobbling streams and get to visit the ruins of the old Paradise Cottage that housed woodcutters and a garrison nearby. Later on Lady Ann Barnard also resided here for a while. 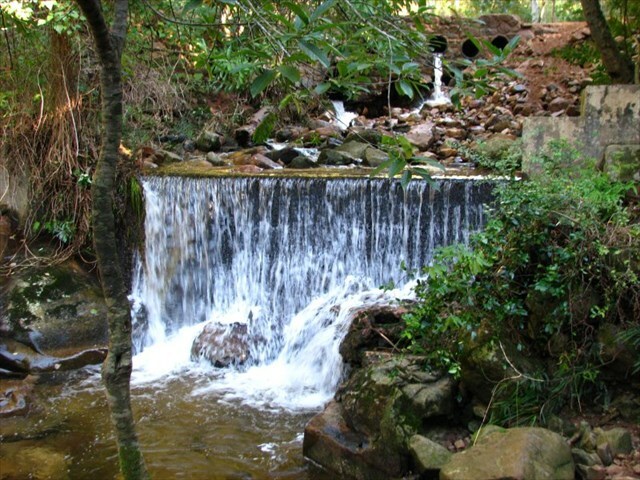 Within mere minutes you will forget that you are close to the City of Cape Town. It will feel as is you are miles away from anything remotely reminding you of civilization and the worries that come with that. Enjoy the hike. Take lots of pictures and leave nothing but foot prints. 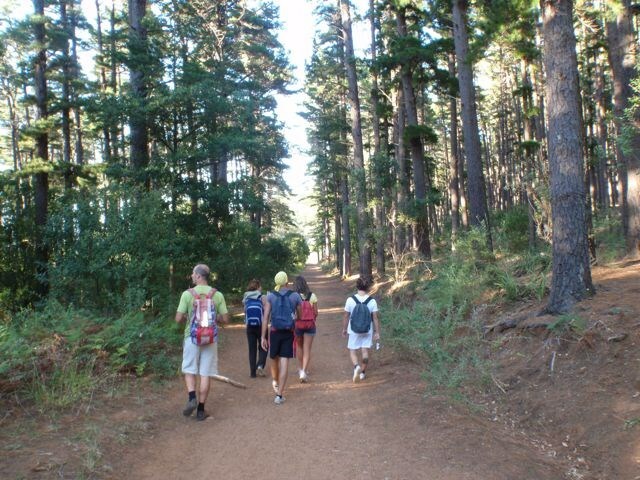 This hike is rated 2Bb (See Hike Rating Image) - Hike Duration : 6 Hours. Participation in this hike is entirely at your own risk. 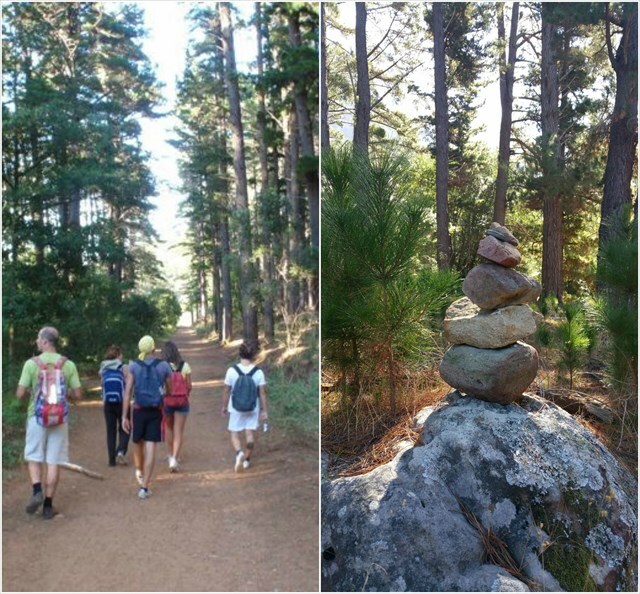 the Cape Town 2016 committee and/or the hike leader can not be held liable for any incident arising, such as injury, illness, damage, loss, mishap, accident or any other occurrence, during the hike, including travelling to and from the event. 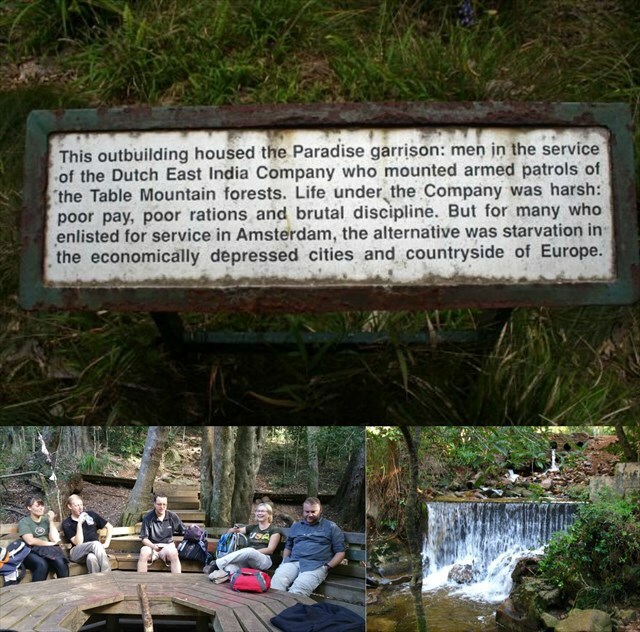 Before setting off on the hike you will be asked to sign an indemnity agreement.